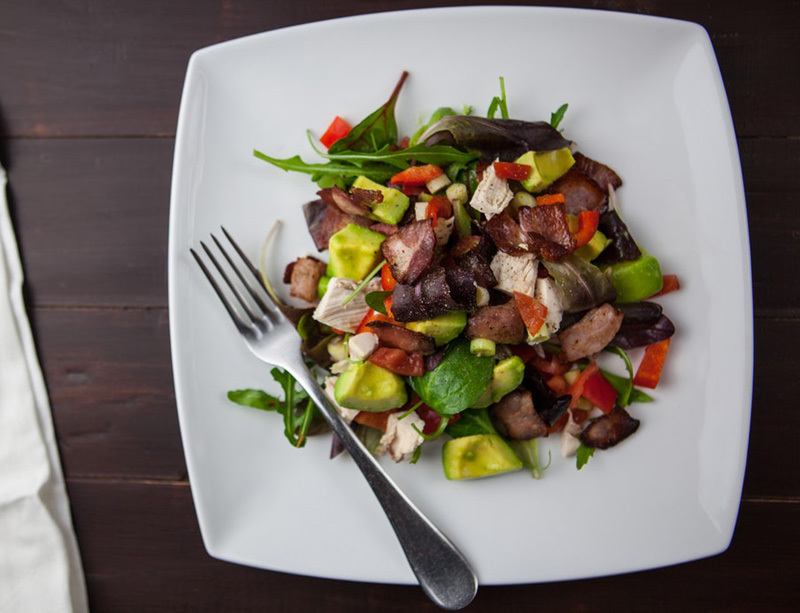 You've probably heard that losing weight is 80 percent diet and 20 percent fitness. And while there are no hard-and-fast facts to back up this claim, losing weight does boil down to your diet. To lose body fat, you need to eat in a calorie deficit — as in, expend more calories than you take in. "You've got to burn more calories than you eat," Kimberly Gomer, MS, RD, LDN, director of nutrition with the Pritikin Longevity Center, told POPSUGAR. "Create a calorie deficit, keep at it, and you will lose excess fat, wherever it is on your body." However, it's not just the quantity of calories that matter, but also the quality. You need to focus on nutrient-dense foods that give you more bang for your buck. Think: leafy greens, nonstarchy vegetables, and fruit. Sugar is calorie-dense with virtually no nutritional value. 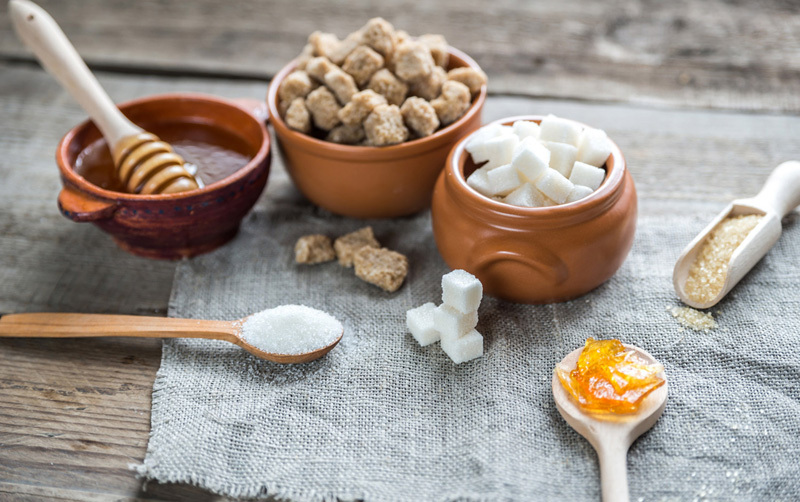 So not only will these calories add up and cause you to pack on the pounds, but sugar also plays an especially tricky role in how our bodies store belly fat. Research shows that an increase in the consumption of sugar, especially in sugar-sweetened beverages, can lead to more belly fat. Plus, sugar spikes your insulin levels, and too much insulin has been linked to obesity. This can also lead to insulin resistance, and a common symptom of insulin resistance is the extra storage of belly fat. And while you should limit the typical culprits of sweets — candy, cookies, doughnuts, etc. — you should also pay attention to sneaky sources of added sugars. Registered dietitian Jeanette Kimszal said that added sugar can be found in "healthy" foods like granola, breakfast bars, yogurt, and nut butters. "Having no added sugar is optimal, but striving for only 25 grams (six teaspoons) a day is recommended for those who want to lose belly fat," she told POPSUGAR. "If you have a health condition, you may want to limit your sugar intake to 15 grams (four teaspoons) a day." Jeanette also said belly fat could indicate digestion issues and that your liver might not be metabolizing foods properly; decreasing the amount of sugar in your diet will improve liver function. Like sugar, refined grains also spike your blood sugar and mess with your insulin levels, which can cause weight gain. 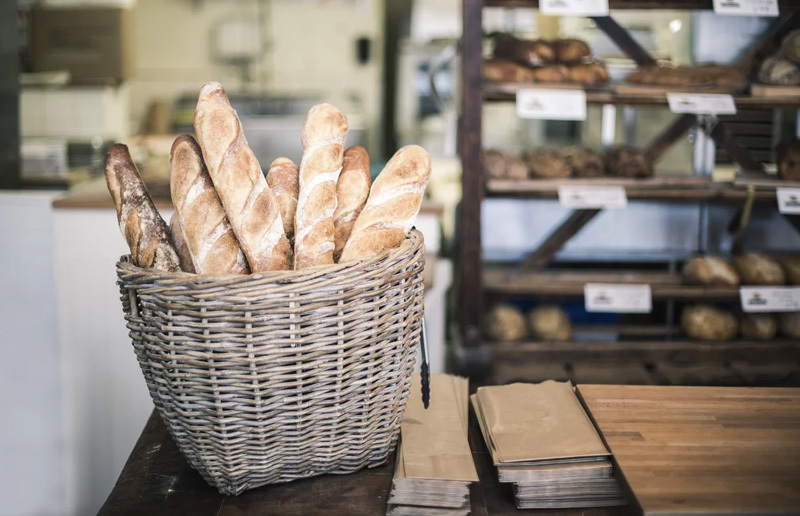 "To peel off belly fat, ditch refined grains like white bread and white rice and eat more whole grains, such as oatmeal, barley, farro, quinoa, whole-wheat pasta, and brown rice," Kimberly said. Plus, refined grains are high-calorie but not satiating. Kimberly said it's easy to overeat these types of foods, which are calorie-dense. "Dry and refined carbohydrates like pretzels, flour tortillas, popcorn, rice cakes, baked chips, and dried cereals add up to a hefty 1,400 to 1,750 calories per pound," she said. "You could easily swallow a few bites and take in 1,000 calories long before you sense any fullness." On the flip side of refined grains are complex carbohydrates, which tend to be full of fiber. Kimberly said that loading up on fiber can help you reduce belly fat, especially since it is more filling. And you don't need tons of fiber to have it be beneficial for you; Kimberly said about six grams a day should do the trick. 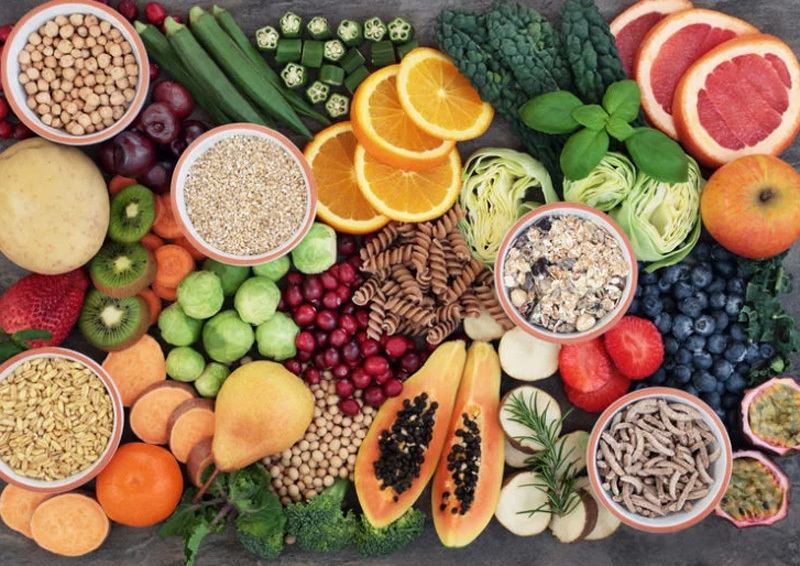 She recommends loading up on fiber-rich foods such as cooked beans, hot whole-grain cereal (like oatmeal), fresh fruit, baked potatoes and sweet potatoes, greens, and 100 percent whole-wheat bread. Many people think they need to go all in on cardio if they are trying to lose weight. And while cardio can help you burn calories and put you in an overall calorie deficit, strength training and lifting weights will help you lose weight long-term. Strength training will help you build muscle, and more muscle mass means your body burns more calories at rest. Eric said in order to build muscle and see improvements, you need to implement progressive overload, which he describes as "doing more than you did before." "This can mean more reps, sets, weight, etc.," he explained. "It can also mean you rest less between sets, you improve the range of motion of each movement, or you have a better connection with the muscle than you did last session." Not only will this help you see progress, but it will also burn more calories during each session. To get more bang for your buck during your strength-training session, Rachel Gerson, an NASM-certified personal trainer, said to focus on compound exercises, which are exercises that target groups of large muscle like barbell squats, deadlifts, and the leg press. "Compound movements concentrating on larger muscle groups will burn the most calories," Rachel said. "If you think about it, you'll feel a lot more tired after doing a barbel squat than doing a bicep curl." Plus, moves such as squats, deadlifts, and overhead presses also target your core, so you are working multiple muscle groups at once. "When you burn the fat off your midsection, you'll have built nice muscle underneath that will start to show, which is what gives you that toned look in your midsection," she added. HIIT, which stands for high-intensity interval training, can help you get in an effective workout in a shorter amount of time. In HIIT, you do a period of all-out exercise followed by an even longer period of rest. You can do HIIT with bodyweight exercises, weightlifting moves, or cardio, such as sprinting on the treadmill. There is some evidence that HIIT can target belly fat. Eric recommends people do HIIT one or two times a week to lose fat. 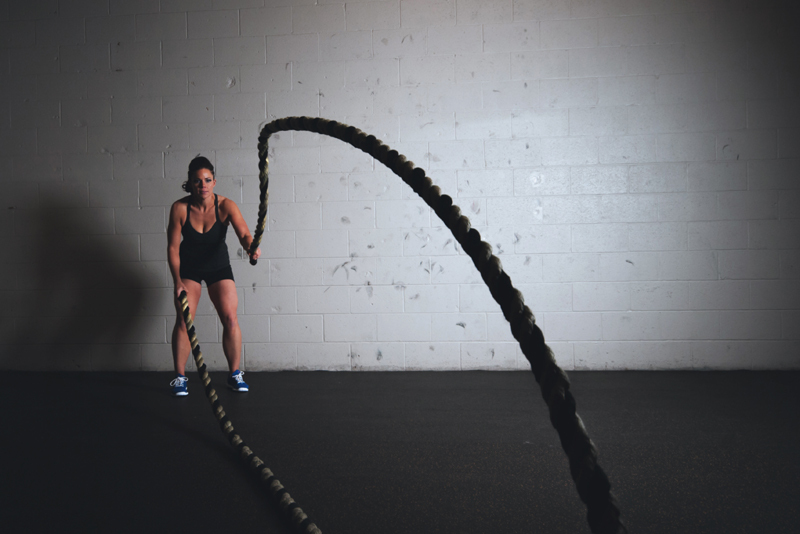 HIIT can also help you achieve EPOC, or excess postexercise oxygen consumption, also known as the afterburn effect, during which your body keeps burning calories even after the workout. NEAT stands for nonexercise activity thermogenesis, and it refers to the activity you do each day outside of formal exercise. "When it comes to fat loss, NEAT is massively overlooked and sometimes completely forgotten, yet it is a powerful fat-loss tool," Eric said. He encourages his clients to be more active outside of the gym and increase their overall steps to 10,000 per day minimum. Other NEAT activities include gardening, doing chores, playing with your kids, and carrying groceries back from the store. While diet and exercise are important for fat loss, many people tend to overlook another important lifestyle habit: sleep. A lack of sleep could increase the production of the stress hormone cortisol. 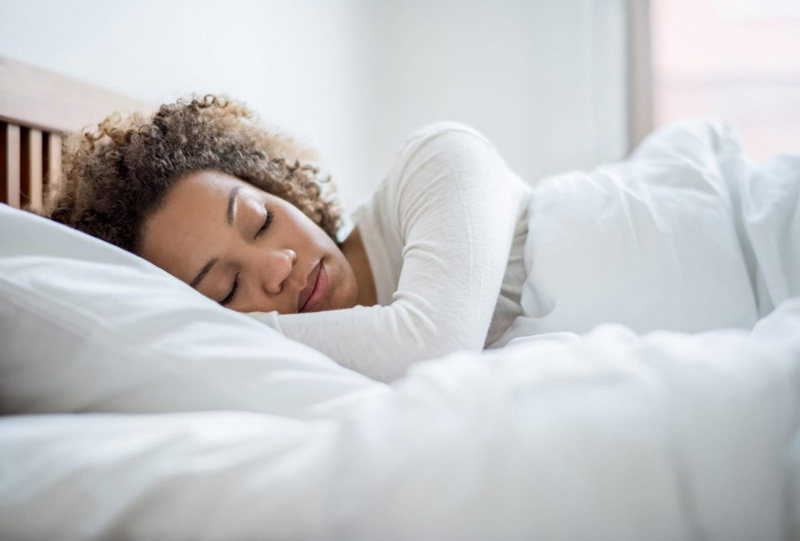 "When you are sleep-deprived and cortisol levels increase to keep the body running, you will likely experience fatigue, increased food cravings, mental fog, and lower 'real' energy," Eric explained. "All of these will impact your effectiveness in the gym and impair your adherence to an eating plan."